Reed just got called to serve in our ward Young Men's program. The boys are going to absolutely love having him in there. Here's what we've been up to while he's at Tuesday night mutual. And since I was called to teach in Primary, Audrey had her first day in nursery a little early. But she did great and didn't seem to care we weren't there! Having a blast in the little pool! We had the easy up tent over the pool, so mom didn't have to worry about frying the kids. We also grabbed a few oranges off the tree to snack on. These kids come running when the oranges are out! They are SO good! The first weekend in May, Reed's little sister, Marie, and her family came to spend the weekend with us. We've missed them so much since we left Utah, so we were so excited to have them come out to see us. We got to meet little Miss Anne-we all just love her! The kids loved having her around and loved playing with her. On Saturday, we went to the California Science Center. There was a lot to see and we had a lot of fun. One of the highlights of the visit was getting to see the Endeavor. It was pretty cool. Audrey loved seeing all the fish. And Evan got to touch a few sea creatures. He didn't care for the slimy sea cucumber much. We made the stop at the museum because we were heading out to UCLA to watch the BYU men's volleyball team take on UC Irvine for the national championship! We were so excited for these guys! We were really glad we could be there for the game. Unfortunately, the game didn't go our way. It was a tough game and really could have gone either way on any given night. BYU beat UCI twice in the regular season, but they just couldn't get it done the third time. Next year BYU!!! A couple weeks ago my parents took me and the kiddos to the SD Zoo Safari Park! We were bummed Reed had to work and couldn't come, but we were still able to have some fun. We made our way over to the tram for a ride first. We got to see lots of animals out on the plains! Thanks Grandma and Grandpa for the fun trip! Has it really almost been a month since the last time I posted?! Let's see if we can get caught up a little bit here. We've been pretty busy! 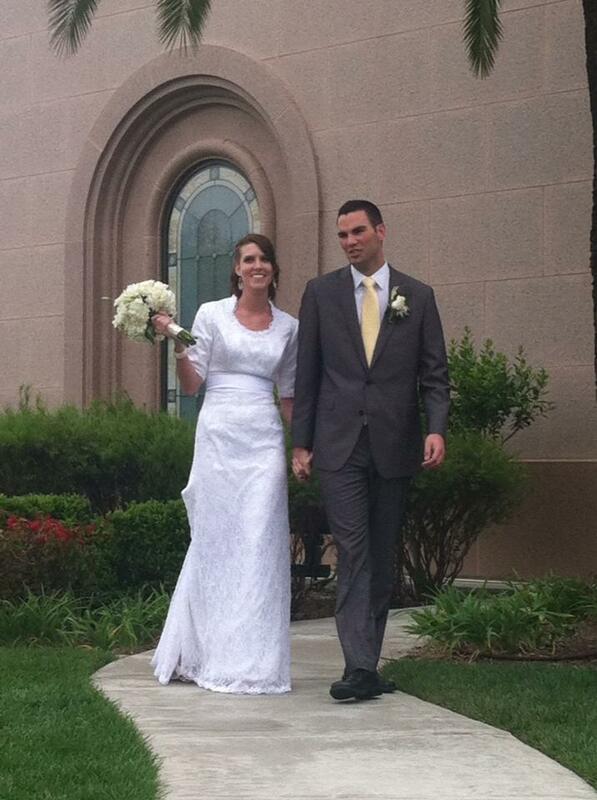 The weekend after we moved in, my little brother, Bryant was married in the Newport Beach LDS Temple to Julie. It was so fun to have my whole family (except Trae who is serving a mission in the Philippines) together for the weekend. The kids loved playing together and we're so excited to add another member to the fam. Grandma and Grandpa with all the grandkids. I love little Colby's face in this one! 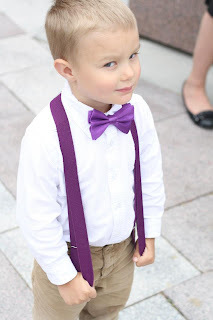 Evan LOVED the suspenders. He always had his thumbs tucked in them. Oh right-the bride and groom! Lookin' good! We're loving our new house and have been busy working on some projects to put some personal touches on it. We love how it's all coming together and are enjoying the process of putting everything together. One of our favorite features of the house right now-fresh, delicious oranges off the tree in the backyard! They are so good!